Join us for our 6thannual Global Prayer event for world peace and harmony. 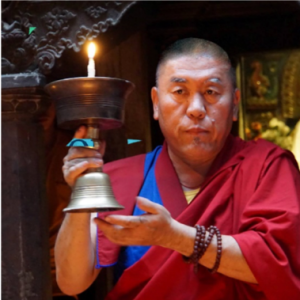 As we plan for this beautiful event and bring Bonpo’s together for 24 hours, we have communicated with sMenri Monastery, Triten Norbutse Monastery and all the other Bön Monasteries. We have sent a letter to the White House and all our public officials here in Minnesota. Their responses have been wonderful and the encouragement is beautiful. Every year, we ask ourselves, what? “This is our 4thannual, then our 5thannual” and now here we are with our 6thannual Global Prayer Event. And each year, our registration grows, we have beautiful people, majority Bon, but we also have many people from different religions participating in this amazing global event from around the world, joining together globally to pray for Harmony, world peace and for the people afflicted in some way from anger, abuse, and terrorism. Our global prayer event has always been held on the birth anniversary of Nyamed Shenrab Gyaltsen, the founder of sMenri Monastery, the main monastery of Bon. More important, on this auspicious day, every prayer we offer is multiplied by 100,000. So this Year’s Sixth Yeru Bön Center Global Prayer event will be held on February 9, 2019. We ask that during the hours of 7:00 p.m. and 8:00 p.m., in your time zone, you offer prayers, meditation and if comfortable, recite the prayer that will be distributed, which will be in Tibetan and English. You can meet together with your Sangha/Tsokme group, or you can be alone. Some groups have gathered for dinner before their prayer time. We ask if you could please send photos or video clips to share on our social media group. We begin our Global Prayer Event at sMenri Monastery and end at sMenri Monastery. We go west in our time zones until we have gone around the world through each time zone. There is no fee for this event, but we do ask for you to register, so you can continue to receive information surrounding the Global Prayer Event. Think about this – If your sound of prayers and meditation can be felt around the world and embraces others and ourselves like a blanket of blessings. What joy to feel someone’s love and understanding from around the world. So please, let us all together unite globally for 24 hours with the sounds of prayers, love and compassion. This was our spiritual Director’s, Latri Nyima Dakpa Rinpoche’s founding event and it has grown and the members of Yeru Bön Center have carried on this annual event and will continue to do so.